Trex proves intelligence has its charm—and plenty of it—at the eco-conscious outdoor living area of the HGTV® Smart Home 2018 in Palmetto Bluff, South Carolina. Interior designer Tiffany Brooks went all out to deliver a house with gorgeous, green solutions, inside and out. Our composite decking made of 95% recycled materials was ideal for the modern home. The sweeping Southern porch features stain-, fade- and scratch-resistant Trex Transcend® in cool silver Island Mist, while durable-yet-design-minded Trex® Signature™ Railing in Charcoal Black gracefully outlines the space, without obstructing the view. And why leave such beauty in the dark? 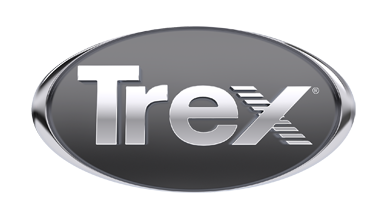 Tastefully recessed, energy-efficient Trex® DeckLighting™ brightens evenings for endless outdoor living. To browse photos and take a tour of the luxury Lowcountry exterior, click here.